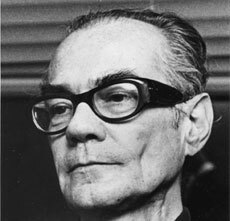 James Blish Born James Benjamin Blish in East Orange, New Jersey, on May 23, 1921, the only child of Asa Rhodes Blish, an advertising manager, and Dorothea Schneewind Blish, a pianist. 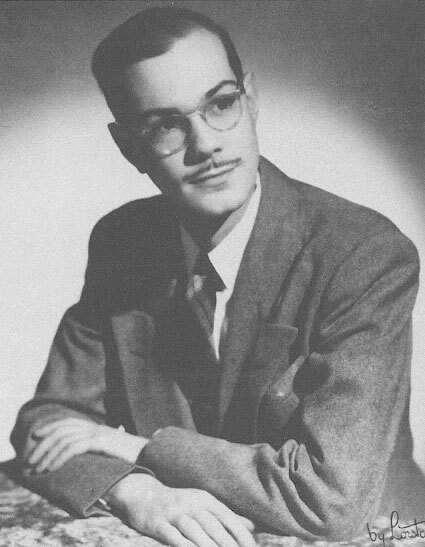 While still in high school edited fanzine The Planeteer (six issues, 1935–36) and began attending meetings of the Futurian Society in New York, where he met Isaac Asimov, Cyril Kornbluth, Frederik Pohl, and others. Published first science fiction story, “Emergency Refueling,” in Super Science Stories in 1940. Majored in zoology at Rutgers, graduating in 1942. Drafted into the Army, he served as a medical technician at Fort Dix, New Jersey. Started at Columbia University in 1944, switching from zoology to literature; did not complete his M.A. degree, but later revised his thesis on Ezra Pound and sold it to The Sewanee Review, where it appeared in 1950. After the war, wrote stories for Western Action, Crack Detective Stories, and Super Sports along with science fiction, trying to earn a living as a freelance writer; worked for trade magazines including Frosted Food Field and Drug Trade News and as a reader for a literary agency. Edited little magazines Renascence (1945–46) and Tumbrils (1945–50). Married literary agent Virginia Kidd in 1947; they would have two children. Published novels Jack of Eagles (1952), The Duplicated Man (1953, with Robert Lowndes, as a magazine serial), and The Warriors of Day (1953, originally serialized as Sword of Xota, 1951), and the first of his “Okie” stories (1950–53) later much expanded in the “Cities in Flight” series of novels: Earthman, Come Home (1955), They Shall Have Stars (1956), The Triumph of Time (1958), A Life for the Stars (1962), and Cities in Flight (omnibus, 1970). In 1953 moved with Virginia to Milford, Pennsylvania, where he would co-found the Milford Science Fiction Writers’ Conference; wrote fifteen scripts for the television series Captain Video. In 1955 learned to fly and joined the Civil Air Patrol; took job as science editor and public relations counsel for drug company Pfizer. Published story collections The Seedling Stars (1957), Galactic Cluster (1959), and So Close to Home (1961), and novels The Frozen Year (1957), VOR (1958), and A Case of Conscience (1958), the latter winning a Hugo award and earning him an invitation as guest of honor at the eighteenth World Science Fiction Convention (Pittsburgh, 1960). From 1962 to 1968 worked in public relations for the tobacco industry. Wrote novels Titan’s Daughter (1961), The Star Dwellers (1961), and The Night Shapes (1962). In 1964 married Judith Ann Lawrence; published historical novel Doctor Mirabilis and essay collection The Issue at Hand (both 1964). Underwent major surgery after a diagnosis of tongue cancer. Published novels Mission to the Heart Stars (1965), A Torrent of Faces (1967, with Norman L. Knight), Welcome to Mars (1967), The Vanished Jet (1968), and Black Easter (1968); also produced a dozen lucrative volumes of Star Trek episode adaptations (1967–75), and a Star Trek novel, Spock Must Die! (1970). Moved to England in 1969. During the 1970s, published new story collections including Anywhen (1970) and novels The Day After Judgment (1971), And All the Stars a Stage (1971), Midsummer Century (1972), and The Quincunx of Time (1973). 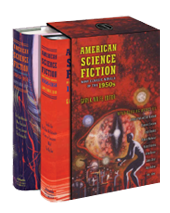 A special issue of The Magazine of Fantasy and Science Fiction devoted to Blish appeared in 1972. Died from lung cancer at Henley-on-Thames on July 30, 1975.